Fresh flowers have now been planted in our outdoor studio garden. 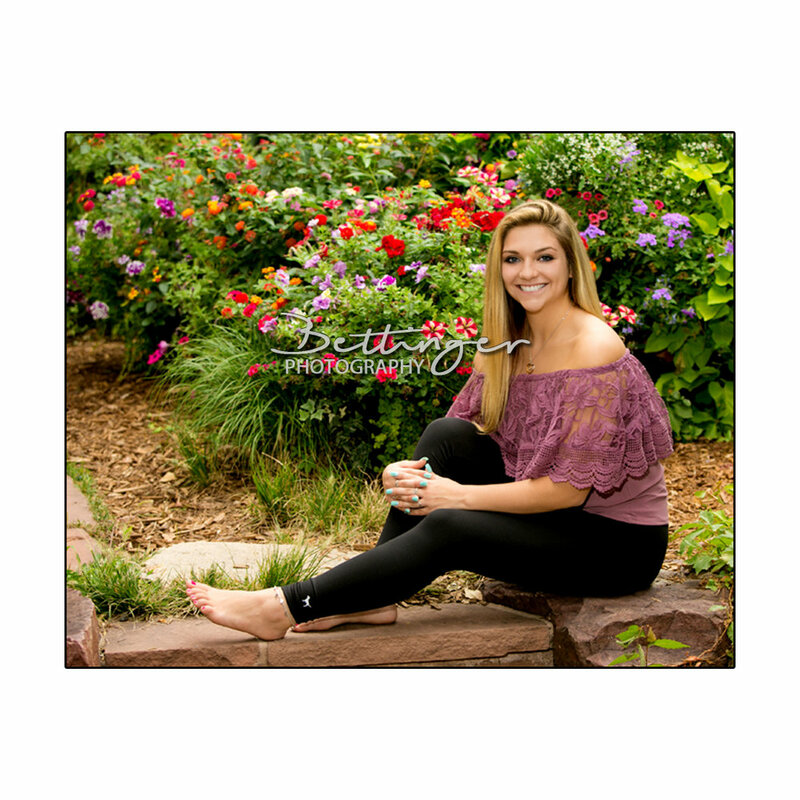 Enjoy this area as just one of many options for your senior portraits at Bettinger Photography. The first or last session of the day is best to take advantage of the spectacular colors, so keep that in mind when you call to schedule. To see more flower portraits, click on #flowers below. To see more flowers click on #flowers below. Brittney wants to be an Elementary School Teacher. "I strongly enjoy working with children and believe that is my passion. I have surrounded myself in class and work settings that involve learning and working with children." Dillon wants to make music when he grows up. He likes to rap and skateboard. He hopes to travel the world.